Every good gardener needs a decent hose nozzle to water the garden with (or to clean the car). When it comes to hose nozzles, cheap is certainly not the best, and unless you want to have to replace yours every season, purchasing one made from higher quality materials for a slightly higher price is recommended. Especially as higher quality metal hose nozzles are only a few dollars more expensive than inferior plastic varieties. Almost every hose nozzle on the market will come with different watering patterns. These are very useful for the different types of jobs you want to do. 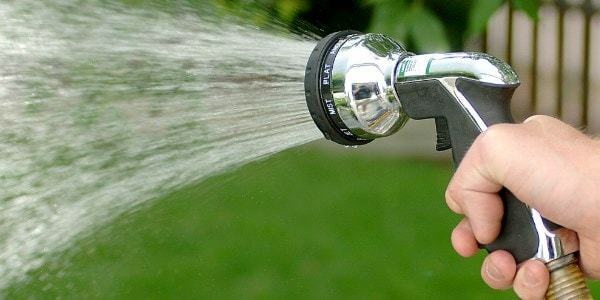 Whether that’s a light shower or spray to water the garden with, or a high pressure jet to wash the car or garden path. The only real difference are the quality of materials they are made from. Plastic hose nozzles are cheaper, but being plastic they are more prone to breaking. They also tend to contain more parts which in turn increases the chance of breakages. Metal hose nozzles are obviously more robust, depending on the type contain less parts, and are generally higher quality for only a slightly higher price. HEAVY DUTY AND ROBUST - Made of solid metal with baked enamel finish. This nozzle is designed to last. Robust metal construction with a baked enamel coating, this sprayer not only looks polished but is robust and much stronger than plastic water nozzles. The baked enamel gives it a strong durable finish that looks attractive and prevents rust. 10 WATERING PATTERNS - For Every Watering Need. Weather you need the high pressure jet to clean the hard surface or the soft shower to wash the dog, the 10 patterns have you covered..
100% CUSTOMER SATISFACTION GUARANTEE - Order with confidence! 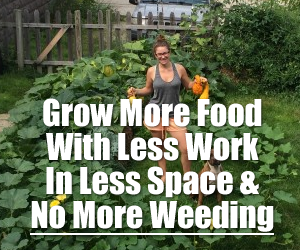 Backed By the Trusted Gardenite 100% Customer Satisfaction Guarantee! Our customer service record is unmatched! There’s a reason why this hose nozzle has more than 2,500 customer reviews with more than 70% of those rating it 5 / 5 stars. The Gardenite Heavy Duty Garden Hose Nozzle is certainly one heavy duty hose nozzle. It is designed to last much longer than the plastic variety as its made from solid steel construction and has a baked enamel finish. The steel makes sure that the nozzle unit is extremely solid, the enamel gives it a nice polished finish, and a soft rubber hand grip makes for comfortable holding and watering, especially for longer periods of time. The nozzle has 10 different watering patterns giving you plenty of flexible watering options. Water the garden using the “shower” setting, wash the dog with the “mist” setting, or wash the car or driveway with the more powerful high pressure “jet” or “full” setting. It also comes with a “water flow control” feature which allows you to control the flow of water for each of the 10 different spray patterns, so you don’t have to use the tap at the faucet to adjust the water pressure. Heavy Duty and Robust: Made of solid metal with baked enamel finish. This nozzle is designed to last. Robust metal construction with a baked enamel coating, this sprayer not only looks polished but is robust and much stronger than plastic water nozzles. The baked enamel gives it a strong durable finish that looks attractive and prevents rust. 9 Watering Patterns: For Every Watering Need. Whether you need a high pressure jet to clean a hard surface or a soft shower to wash your dog, the 9 patterns have you covered. Ergonomic Soft Rubber ComfortGrip: Means comfortable spraying without the tiring. 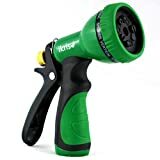 The soft rubber coating makes this nozzle very comfortable in your hand so you can water for long periods of time. Our ComfortGrip handles are fully coated around the entire base - compare to cheaper products which reveal the handle base. Flow Control Knob: Flow control is absent on inferior hose nozzles, a common problem that significantly reduce your water pressure. Having control of the water pressure means that you can adjust the pressure for each of the 9 spray patterns. This results in a pitiful spray pattern rendering the nozzle virtually useless for many watering tasks. This heavy duty nozzle has flow control adjustment. Choose from a soft, delicate shower all the way to a high-velocity jet. 100% Customer Satisfaction Guarantee: Order with confidence! Each ikris 9-Pattern Hose Nozzle comes with a 100% satisfaction guarantee - every time! We are always available to help our customers. Our customer service record is unparalleled! The ikris Garden Hose Nozzle is another heavy duty hose nozzle also primarily made from solid steel with a baked enamel finish. It comes with 9 different watering patterns and also has a flow control knob to control flow pressure. This is a cheaper option than the Gardenite Heavy Duty Nozzle, however there are also a few differences. The Dramm Heavy-Duty Brass Adjustable Hose Nozzle is a very simple, very robust hose nozzle that is designed to last. It’s made from a limited amount of parts (all of which are made from solid brass) meaning there are less parts that are likely to break with wear and tear, or from being exposed to the elements too long. This hose nozzle is designed to be simple. There is no “trigger” to turn the nozzle on. There is no dial to twist to adjust to different watering patterns. To turn the nozzle on you simply twist the barrel and the more you twist the more the water adjusts from “fan” to “cone” to “full pressure”. To turn the nozzle off, simply twist it back to close it. The Dradco Heavy Duty Brass Fireman Hose Nozzle is made from high grade brass and stainless steel construction and as the name suggests the shape is modeled after an actual fireman’s hose. This nozzle is also simple to use, simply twist to turn on, twist further to adjust the watering pattern, twist back to the closed position to turn off.